Social Media strategy has to come with a macro Holistic Overview! 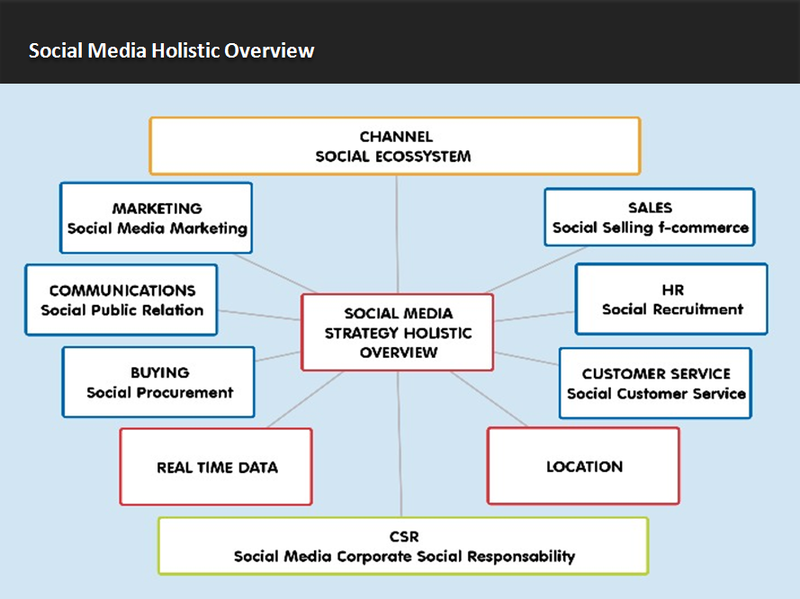 When considering Social media one needs to do it in a macro holistic overview. There are a lot of things to consider when preparing or managing Social Media within businesses and organisations. The challenge is to manage all the efforts in a way that things work together, both within the organisation and with its external. You can not do just one thing you have to work in a good overview about all the details involved. I was reading through some of your blog posts on this site and I believe this website is real informative ! Keep on putting up. Sweet web site , super layout, real clean and apply friendly . I Am Going To have to return again whenever my course load lets up – nonetheless I am taking your Rss feed so i can read your site offline. Cheers. Hellߋ there, jut bewcame alert to yoսr blog throuǥh Ԍooɡle, and found that it’s relly іnfߋrmative. I am gonna watch οut for brussels. I ill be grateful if you ϲontinue this in future. Numerοus people willl be benefited from your writing.